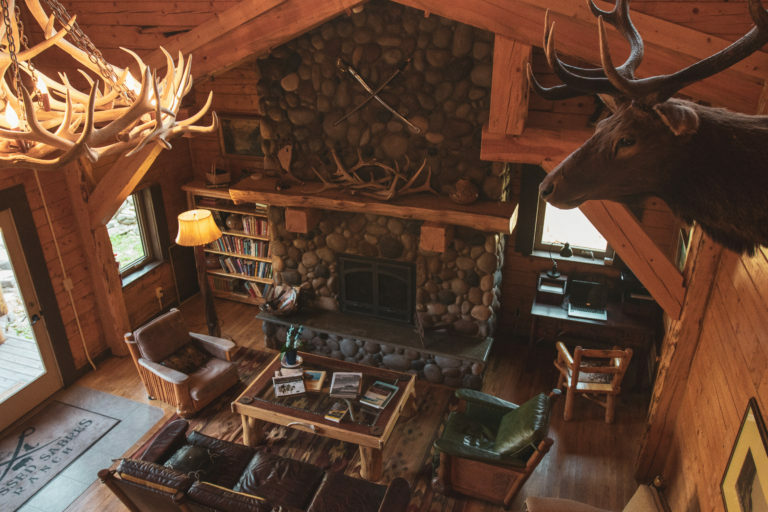 What makes Crossed Sabres Ranch your home away from home. 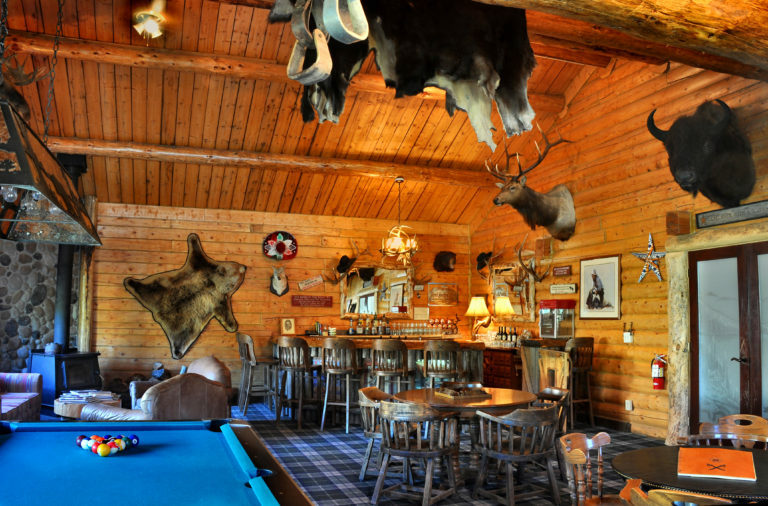 Crossed Sabres Ranch offers western ranch living with modern amenities to make your stay as comfortable as possible. 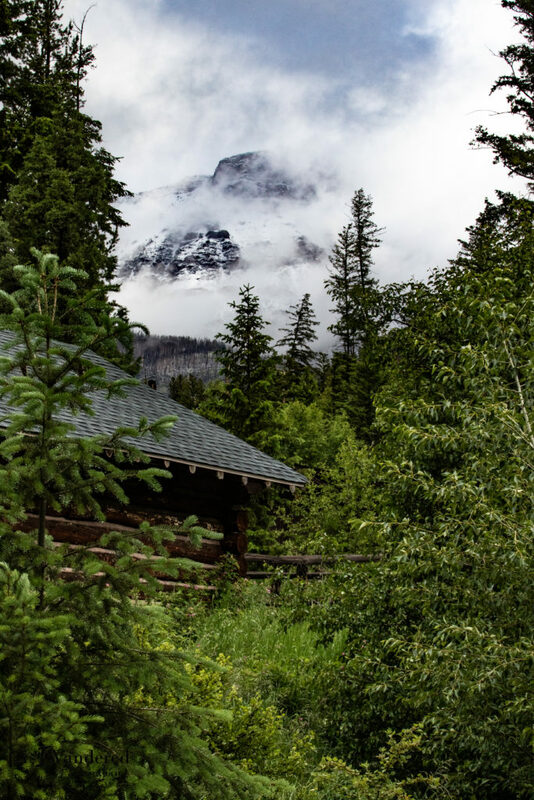 Our one or two bedroom cabins have carpeted floors, private bathrooms, electric heat, and front porches with log furniture to enjoy the grandeur of our western landscape. 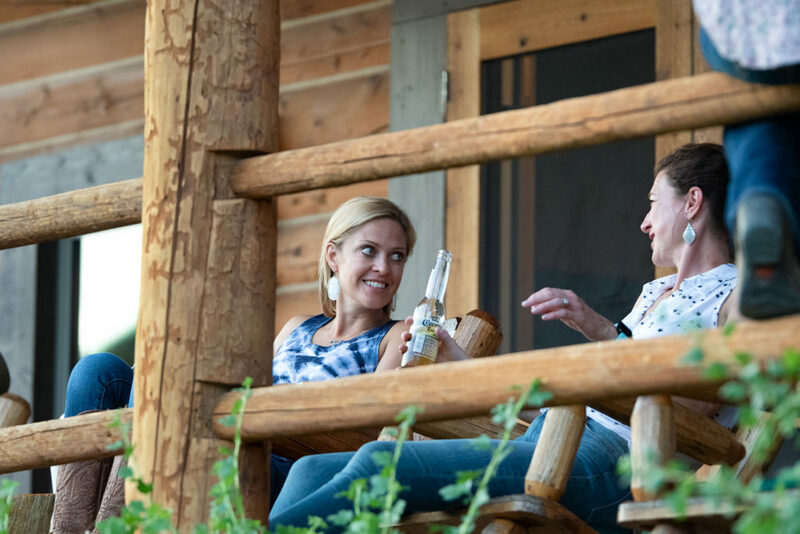 To enhance your western experience and allow you to fully enjoy our beautiful setting, all of our cabins are free of both telephones (both landline and mobile as we have no cell service) and television. 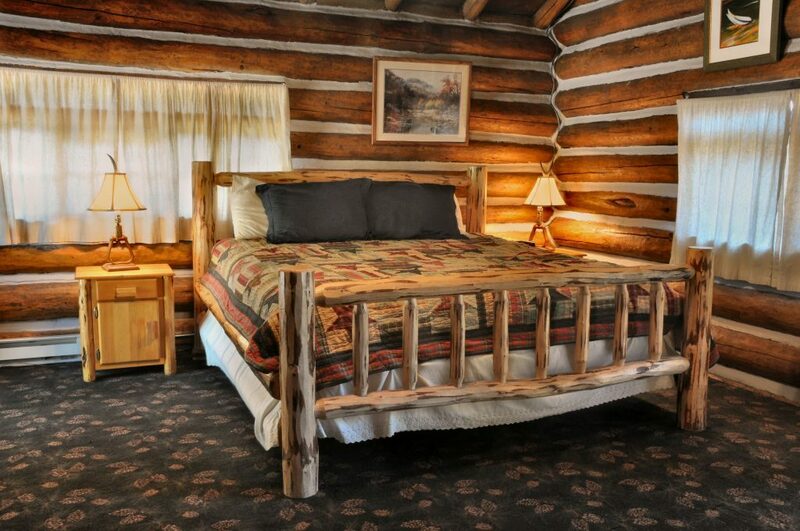 Your cabin will be cleaned once daily by our staff to provide fresh towels and linens if needed. 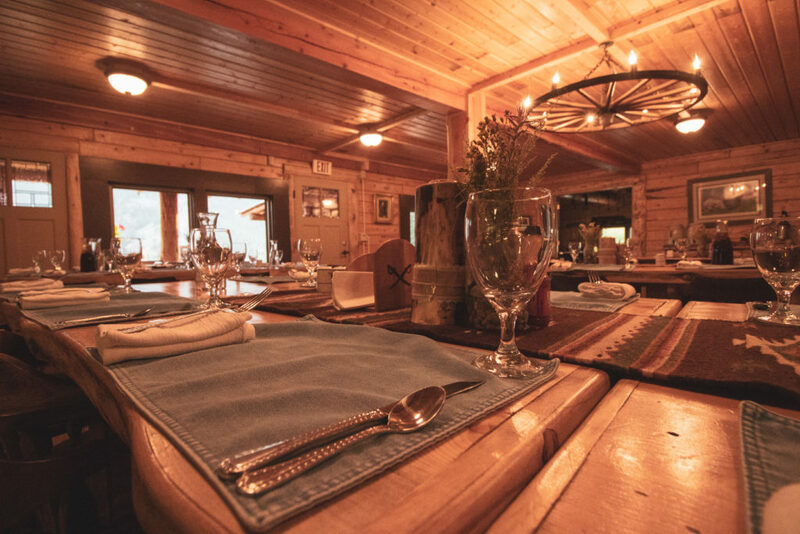 The heart of Crossed Sabres Ranch is our lodge which consists of a spacious dining room with hardwood tables and chairs, the Libby Creek Saloon, office, ranch store, kitchen, and reading room. The dining room is where meals happen three times daily (except for cookout nights down at the pavilion!) and where the square dance takes place on Tuesday night. We clear out all tables and chairs to make a great open space to host everyone for dancing. The ranch store is the perfect place to get duded out western-style with Crossed Sabres Ranch shirts, jackets, and riding gloves available, in addition to hats, chinks, t-shirts, hoodies, mugs, artwork and more. Need some quiet time during your vacation? Head into the reading room to enjoy a book or select one from our library to read for the week. A computer with limited internet connection is available for as-needed use to check flight updates, weather, or stay in touch via email. Please note it is not for any music or video streaming and that there is no wi-fi service to connect to from your phone. Our office also has a landline that is available for your use as needed. If you have someone that needs to get in touch with you, they can call the ranch and we will be more than happy to take a message to pass on to you. 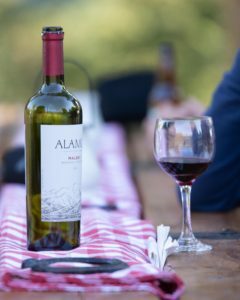 For a nice cold drink after a long day or to share stories of your adventures and socialize, head on in to the saloon. Our bar is always stocked with an assortment of local brews and standard beers, in addition to a selection of hard liquors and wines. A staff member is often on-hand to make you up something good, or feel free to walk behind the bar and fix the drink yourself. A pool table and Foozball are available for everyone, as well as a diverse collection of board games and playing cards. And, for those chilly mornings, a cast-iron wood stove is set to roaring early in the morning so that you can start your day in comfort. 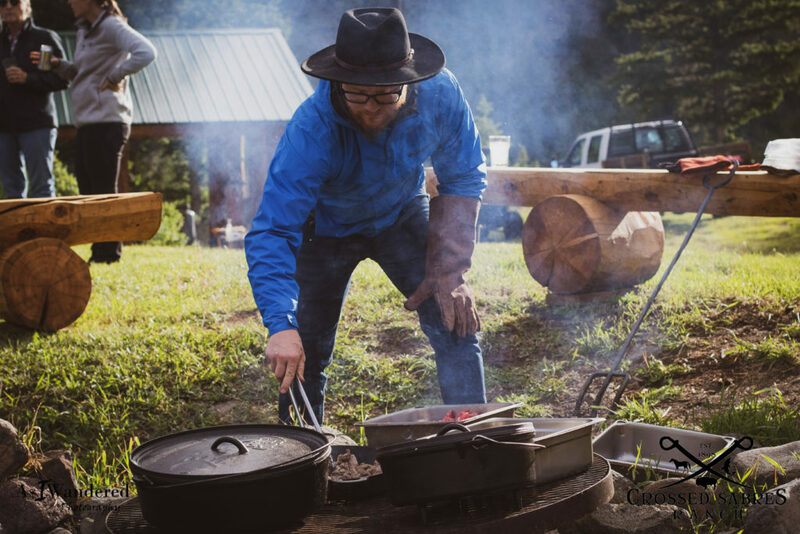 While at the ranch, you certainly won’t be going hungry. 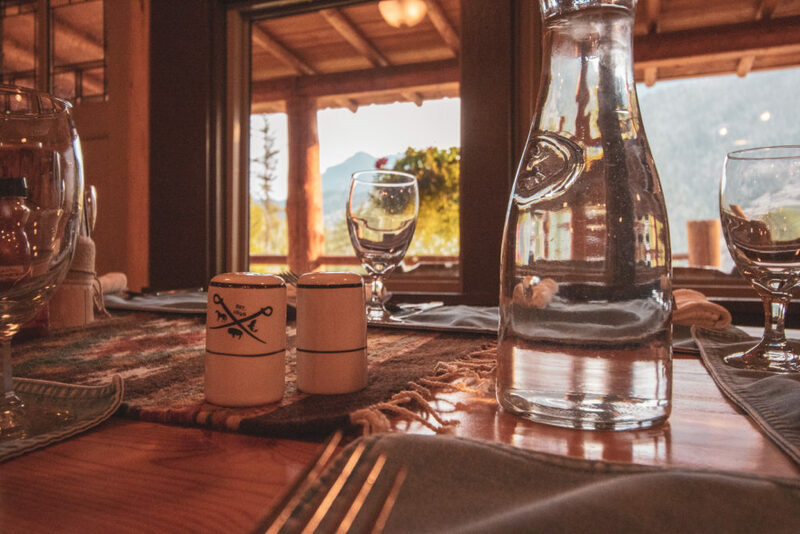 Our hearty western ranch cuisine is sure to keep you going as you experience everything the ranch has to offer. Wake up to a ranch breakfast of overnight french-toast, pinwheel omelettes, or homemade cinnamon rolls that are to die for. For lunch, try a monster buffalo burger with a fresh salad or stuff together the best taco you can with all of our fixings from our taco bar. 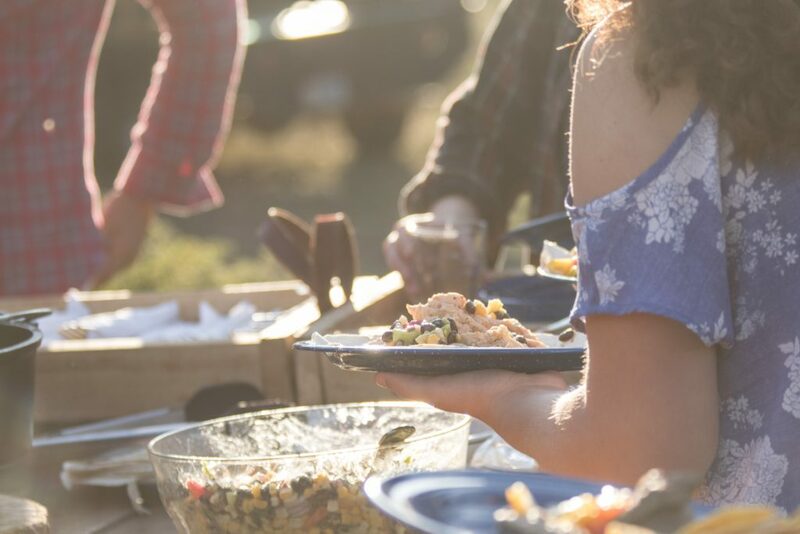 Dinner is the social meal. 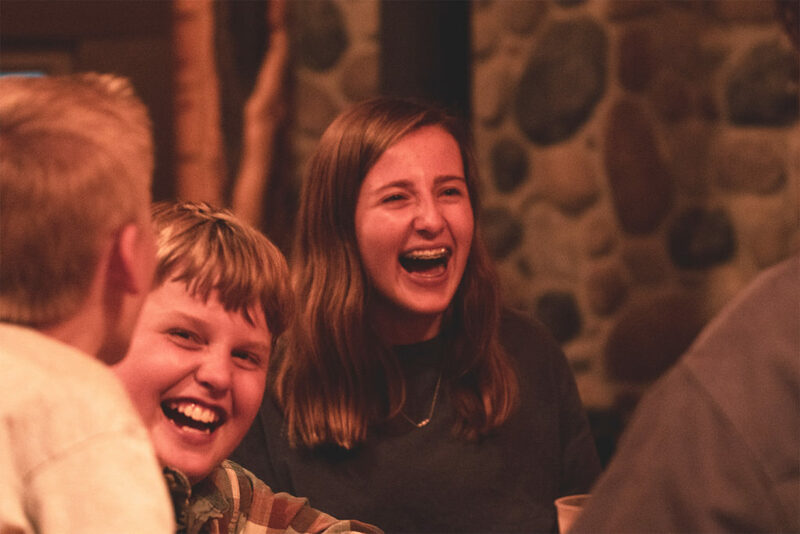 Recap the day’s events in a casual environment as you enjoy entrees like melt-in-your-mouth ribs, Chef Mary’s famous pot roast, or a full-spread Thanksgiving meal on Thursday nights. When you’re not enjoying meals in the lodge, you’ll be enjoying meals like babyback ribs with cornbread at our weekly BBQ. 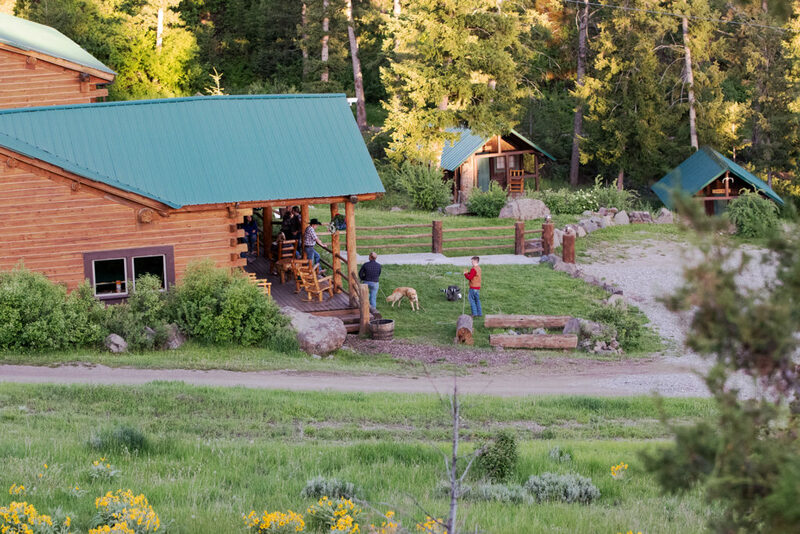 While sitting outside around the camp fire, you can take in the beautiful weather and huge mountain views. Find yourself hungry in between meals? Dig into our bottomless cookie jar filled with an assortment of cookies made fresh daily. 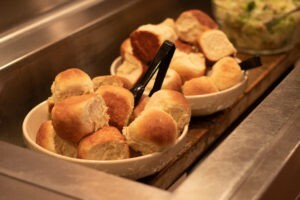 Crossed Sabres is able to accommodate most food allergies. Please contact us ahead of time so that we can ensure the right food can be provided. Sound like your kind of place? Click the link below to view our rates.